Beijing/Mumbai: With demand from top buyer China still weak, global iron ore prices are not expected to recover in the next few weeks and may not yet be at their nadir despite a slump in deliveries from the world’s third largest producer, India. R.K. Sharma, secretary-general of the Federation of Indian Mineral Industries (FIMI) said on Monday that a precipitous drop in prices since September had made it hard for Indian suppliers to meet their high rail freight and export duty costs, forcing them to cut shipments to a minimum. A senior Chinese industry official said on Monday he anticipated further declines in coming weeks. “In my personal opinion, the price of imported iron ore will fall further, because the trends for the whole sector are unlikely to get better and steel mills don’t dare to buy ore," said Zhang Changfu, vice-chairman of the China Iron and Steel Association. The decline in Indian supplies is unlikely to provide any additional support to prices, especially as Australian and Brazilian suppliers remain more than eager to fill the breach, said Ian Roper, commodities analyst with CLSA in Shanghai. Roper, who has long been predicting a slump in prices, said the biggest impact on supply was not likely to be felt in India, but at China’s own iron mines, where production costs sometimes reach as much as $150 per tonne. “The relevant part will be the decline in Chinese domestic supply -- you’ve got 80-100 million tonnes of supply that is uneconomic at $110 a tonne," he said. The top three global iron ore producers, Australia’s Rio Tinto and BHP Billiton as well as Brazil’s Vale , are all in the middle of a big capacity expansion and they say their plans will not be affected by any fluctuations in global prices. The big three, operating at much lower costs than their counterparts in India and elsewhere, have said falling prices will help drive competitors out of the market. “We’ve finally seen the Australians running their mines at a decent rate in the last few months and that has combined with a slightly slower pace of steel production to send the price down," said Roper. “The miners will always pursue a volume over price strategy," he said. India has already been making efforts to reduce exports, saying it wants to give priority of supply to its own steel sector, but it has struggled to bring new smelting capacity into operation. 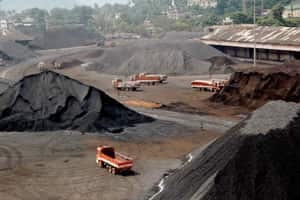 FIMI’s Sharma said India’s biggest iron ore producing state, Karnataka, was now “shut", but no shipments have been made from the southern region since the local government banned exports last year, even though the Supreme Court overturned the ban in April. Total exports in August fell 43.4% from a year ago to 2.65 million tonnes, the latest data from FIMI showed, while shipments to China saw a 24% year-on-year decline in the first nine months of 2011. India charges a higher railway freight on cargoes meant for exports compared with those for local consumption. Earlier this year, the government raised the export duty on fines to 20% from 5%. CLSA’s Roper said it was likely the Indian government would quickly adjust duties and freight rates again in order to give exporters room to operate, especially in the face of a domestic supply glut. “The Indian government has the ability to respond to keep its mines in the market, but how quickly they do that is debateable," he said. The prices for lower-grade Indian ores were not now attractive to Chinese buyers, said a senior iron ore trader in eastern China’s Shandong province, who sells Indian ore to local steel mills. “Some suppliers, who have materials available on hand, are not willing to sell their stocks which were bought at high prices," he added. CISA’s Zhang said domestic steel mills were increasingly unwilling to return to the market while their stockpiles of expensive ores were at current levels. He said stockpiles at eight major ports had now reached as high as 98 million tonnes, with much of that bought at prices of around $165 per tonne. Zhang’s figures were higher than those issued last week by industry consultancy Mysteel, which put port stockpiles at 92.74 million tonnes, still nearly 35% higher than the end of October last year. Roper of CLSA said China’s mills were likely to return to the market soon as they replenish inventories for the winter. “Everyone is destocking like mad now and stepping back from the market while prices are plunging, but this is a short-term cycle and the steel mills will be back within a couple of weeks."